Innovative, creative classes with experienced, professional teachers will broaden pupils’ horizons as they grow and dance with Canyon Dance Academy. The Clifford E. White Theatre was remodeled in 1998 and faces Knoles Drive in the Performing Arts Building (building 37). This is where the majority of Northern Arizona University Theatre's mainstage shows are held. The Cline Library Assembly Hall is one of Northern Arizona University’s most versatile venues. It is used for lectures, film screenings, theater productions and more. The Coconino Center for the Arts is the cultural hub of the Flagstaff community. The 4,000 square foot gallery features diverse exhibitions, and the intimate 200-seat theater offering concerts, performances, films and other presentations. Please be advised that the Center does close for as much as one or two weeks between art exhibitions for installation. Doris Harper-White Community Playhouse, erected in 1923, was originally the Elks Lodge and later became the Flagstaff Library. The hall is now known as an intimate black box venue for the Theatrikos Theatre Company. The performance space seats 99 individuals. Theatrikos patrons are never more than five rows away from the stage area. Flagstaff High School Dome is host to various high school athletic games and the annual FHS Native American Club Pow Wow. Harkins Flagstaff 16 has an ultimate digital sound, handicap accessible, stadium seating, expanded snack bar and 3D projection. 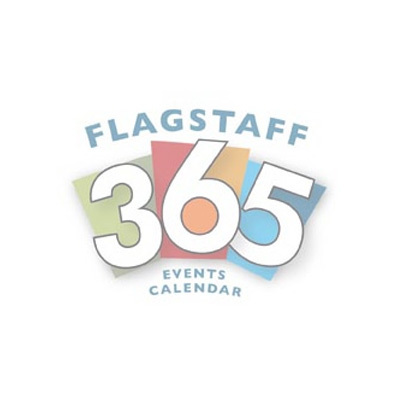 Heritage Square Trust’s goal is to make quality entertainment and artistic talent accessible to all audiences by omitting admission fees and utilizing Flagstaff’s only open-air amphitheater. Heritage Square provides an opportunity for all socio-economic backgrounds to experience professional entertainment and art, free of charge. Human Nature Dance Theater is a collaborative dance performance group. The group creates original works of an interdisciplinary nature, which explore human potential and its relationship with the natural world. Human Nature Studio offers space for tango, salsa, contemporary dance, Middle-Eastern Dance, Tai Chi Chuan, Kung Fu, Qi Gong, Yoga, Hula. Gallery Space available for visual arts and performance. Northern Arizona University's Studio Theatre hosts the theatre department's "second stage" shows. Pepsi Amphitheater at Fort Tuthill Park is an outdoor venue in Coconino Country nestled in the beautiful pines of Flagstaff, Arizona, celebrating a summer season of diverse entertainment including rock, jazz, blues, comedy, major festivals and family nights. Managed and programmed by R Entertainment North LLC for Coconino County, Arizona, it is ideally situated at a cool elevation of 6,900 feet, serving fans of live entertainment throughout Arizona and the greater Flagstaff region, including Prescott, Sedona, Cottonwood and all the Verde Valley, plus Williams, Holbrook and Kingman, and reaching outside Arizona to Southern Colorado, Southern California, Las Vegas, and even Albuquerque, N.M.
Prochnow Auditorium is home to many events located on the Northern Arizona University Campus. From concerts to sports to theatre, this is the place to come for your entertainment! The stained glass windows, antique Brunswick bar from Tombstone, wood floors, and original fireplaces set the stage for casual elegance and magical moments. The ballroom opens to double-tiered reconstructed balconies, offering a bird’s-eye-view of the historic downtown railroad district. Just as it has inspired a number of artists over the years, the Zane Grey Ballroom continues to be an inspiration for those hosting wedding receptions, family reunions, and parties. This venue features a full bar and seating for about 100 people.